When designing a new kitchen or upgrading an old one, it’s important to incorporate appliances that repay the investment. Amidst the excitement of purchasing new products, the big picture shouldn’t be forgotten, and choosing ovens and cooktops that work in sync is the best way to achieve optimum cooking output. Major kitchen appliance manufacturers such as ASKO provide adaptable product choices along with enduring quality to ensure kitchens are always stylish and contemporary. The ASKO HG1885SD Pro Series Gas Cooktop is a classic example of Scandinavian styling for contemporary lifestyles. At 80cm wide, the HG1885SD Cooktop perfectly complements larger household ovens for vast home-cooked meal choices, while producing enough independent output to whip up a cooktop feast. The Fusion Volcano wok burner is an eye-catching and powerful addition, transforming the cooktop into a wok-inspired healthy meals assistant. Why choose the HG1885SD Cooktop? Versatility, durability, and functionality are harmoniously engineered using seamless stainless-steel, cast iron and removable single-component knobs and burners for easy cleaning and energy efficient cooking. 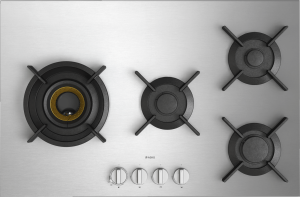 ASKO cooktop options include the number and layout of burners, energy source, plus cooktop colour and size, along with individual burner output for energy-saving, tailored cooking. 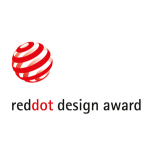 ASKO developers investigate utilitarian cooktop components for multifunctional usability, incorporating ergonomic principles, environmental sustainability, and fully recyclable components as significant ASKO attributes. The idea for ASKO was conceived of more than 60 years ago, when a young Swedish farmer built his mother a superior, hard-wearing washing machine. Today, ASKO boasts a considerably larger operation from the same iconic location, retaining the same Scandinavian ethics of minimalist, innovative, and extremely appealing appliances. The ASKO HG1885SD Pro Series Gas Cooktop is seamless and attractive, drawing in cooking newcomers to experience contemporary cooking at its best. When home chefs choose the HG1885SD Cooktop, a whole new level of dining pleasure is ready to commence. What are the HG1885SD Cooktop features? 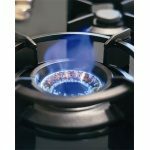 Why is the Fusion Volcano wok burner in demand? Old fashioned kitchens are far removed from the productive spaces of today. Homes have generally increased in size around Australia, and kitchens have followed suit, even becoming a priority in smaller inner-city unit developments where entertaining is the norm. In addition, modern kitchen components don’t take up space, including built-in ASKO wall ovens, microwaves, warming drawers and cooktops. The ASKO range incorporates diverse choices for all kitchen appliance solutions and the Fusion Volcano wok burner is often near the top of the priority list. Modern Australian households consist of individuals with independent programs for work, home, school and social commitments. In a society where most parents work full or part time, young children attend care or school, and older siblings are staying at home longer, kitchen functionality needed to change, and ASKO has the answers. 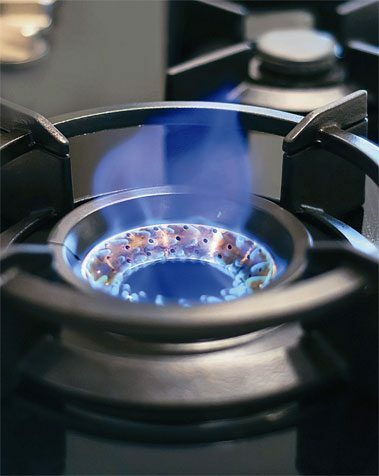 As a manufacturer solely dedicated to kitchen and laundry appliances, ASKO conscientiously adapts products to suit the evolving needs of Australian families, and the Fusion Volcano wok burner is the perfect solution for creating healthy meals that can be enjoyed at any time of the day.